We have a new blog!!! I have recently partnered up with my good friend and colleague Yoli Diamond Jason Ching on a new project called DREAM BUILDERS CLUB! With Dream Builders Club, our goal is to bring you the first rate network marketing training you need to take your business to the next level. From here out, Dream Builders Club will be the home of all my Network Marketing articles and this blog (http://RonnieCruz.com) will be dedicated to teachings on personal development, success principles, and prosperity consciousness. So, go check out Dream Builders Club and subscribe to that blog for all your Network Marketing needs! 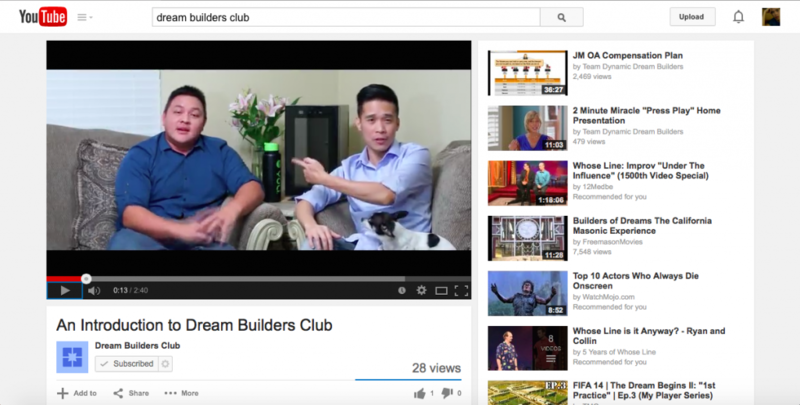 Oh and you can also check out the Dream Builders Club YouTube Channel for even more Network Marketing tips and trainings!